Thousands of Foxconn factory workers went on strike this week, according to China Labor Watch, saying the manufacturer turned a blind eye to employee violence, and won’t provide proper training despite high product quality expectations. Foxconn is a supplier to a number of well-known American companies including Apple and Microsoft. According to CLW, which partners with “labor organizations” to raise awareness for factory working conditions, the strike involved up to four thousand employees who were forced to work over a holiday. Most of those employees work in the “onsite quality control” line, which oversees how well the products are being made and if they fit a certain standard. A number of these employees were allegedly met with physical violence while doing their inspections. CLW says the plant’s managers “turned a deaf ear” to the issue. 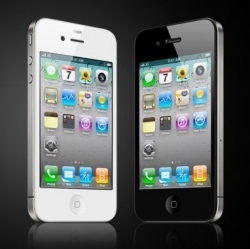 The strike reportedly shut down iPhone 5 production lines. The extra quality assurance pressure allegedly comes from the iPhone 5 and “demands related to scratches on frames and back covers.” Recently, Apple was criticized for the new smartphone’s tendency to attract scratches.